Libyan former intelligence official claims terrorist groups got hold of Qaddafi's chemical weapons arsenal and then smuggled it to Syria. Libyan former intelligence official Ahmad Qadhaf Al-Dam recently said that the Islamic State (ISIS) and other terrorist groups had gotten hold of the chemical weapons that had remained in Libya from the regime of former dictator Muammar Qaddafi. The comments by Al-Dam, who is a cousin of Qaddafi, were made in an interview with the Egyptian Dream TV network on January 18. They were translated by the Middle East Media Research Institute (MEMRI). “You said that ISIS has gained control of poisonous gases, such as the lethal sarin gas. Where did you get that information from?” the interviewer asked. 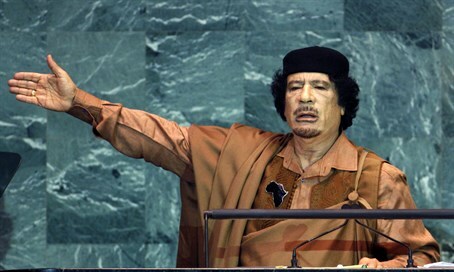 During the civil war in Libya which resulted in Qaddafi’s ouster and death, it was confirmed that Qaddafi had ten tons of mustard gas stockpiled, and it was feared he might use it on opposition forces seeking to bring an end to his regime. Iran had supplied Qaddafi with hundreds of special artillery shells for chemical weapons that Libya kept secret for decades. In October of 2011 the Libyan government confirmed the presence of chemical weapons in Libya and said foreign inspectors would deal with the issue. The comments by Al-Dam reaffirm reports from late 2013 which indicated that the chemical arsenal was in an abandoned desert warehouse in southern Libya and that terrorists were trying to get their hands on it.